The problem of employment has even strongly found it´s way into the Pope´s latest Angelus. What proposals can be made to react to the crisis? Three questions for Alberto Ferrucci, director of EoC Online. The question of work continues to be central in the Italian political, economic and social panorama. Names like Eutelia, Fiat and Alcoa have appeared in the first pages of newspapers for some time already, sad testimonies of more vast employment problems. Even the pope, in the Angelus on Sunday, January 31, faced up to the question, making specific references to the workers of the businesses in question who are present at Saint Peter´s Square. Calling everyone back to "a sense of responsibility" in front of the crisis, he associated these examples with the recent recall by the CEI (Central European Initiative) to guarantee work that isadequate to sustain families. It was a call that arrived exactly the day before the publication of the data on unemployment made by Eurostat, the offical statistics of the European Union. Unemployment percentages are rising all over Europe, reaching 22.8% in Lituania and even 19.5 percent in Spain, until recently shown as land of the new economic miracle. How can we interpret these data, and what should be proposed in front of such a dark picture? 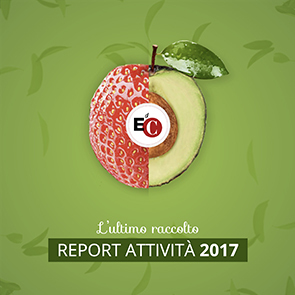 We speak with Alberto Ferucci, head director of EoC Online - Newsletter of the Economy of Communion. According to data published Friday by Eurostat, the unemployment tax in Italy is lower than the European average (8.5 percent compared to 10 percent). And unemployment among Italian youth under 25 is three times as high (26 percent), while the European average is double (20 percent). How can this particular problem be explained to those entering the work world? "The difference is not huge, and it´s difficult to identify specific elements to explain it. One reason may be the low public support to the research, which is usually entrusted to youth. The higher than (European) average coverage offered to children of Italian families can create lower mobility of the youth workforce. Then, it´s important to remember that Italian youth are not very inclined to accept work outside of their field of study - work that is usually left to immigrants". Refering again to Eurostat, the current crisis has levelled off the unemployment tax of both men and women, and women have "resisted better". Why? "This may be due to the fact that the crisis has hit the manufacturing sector particularly hard. And the percent of male workers is usually higher than females in this sector". Various parties - trade unions, the Church, associations - are calling for radical revision of the politics that governs work and development strategies. What contribution can be given by the Economy of Communion´s vision? "The EoC puts the person in the first place, and it gives great importance to the fact that everyone be put in working conditions. We try to orient political action to the fiscal sector. Today, the state entrusts a significant part of fiscal procedure to businesses, entrusting them to pay taxes for their employees, who currently receive only half of what the business pay them. This is taxed through IRAP (Regional Tax on Productive Activity), not only on how much is earned, but also how much is spent for the work - a true absurdity. At the same time, fiscal evasion of the self-employeed and of professionals is not adequately fought, and the imposition on financial income is reduced to 12.5 percent of income. This situation can be changed, without reducing the income of the State, with opportune laws that incentivate work. Think of the 1993 proposal to Parliment by the Giorgio La Pira Study Center of Genova, and undersigned by delegates of a variety of parties. It proposed a total tax abolition for all new-hires by businesses and individuals, even when they are part-time. It would not have had a negative impact on the state´s income, and therefore, didn´t require specific financing".